Today we made a little stopover at JC&Co on behalf of Food Network to document the latest craze which has hit Sydney. 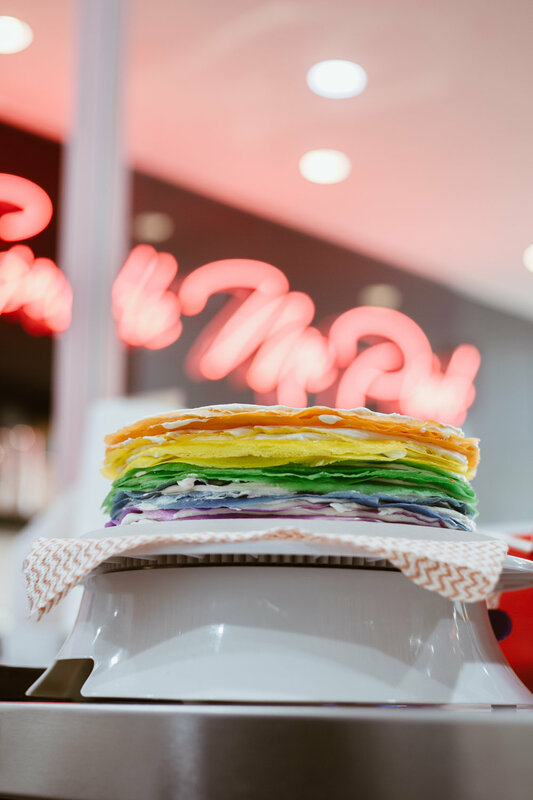 The rainbow crepe cake is the current foodie stop in town and should definitely be on your to-eat-list in Sydney. 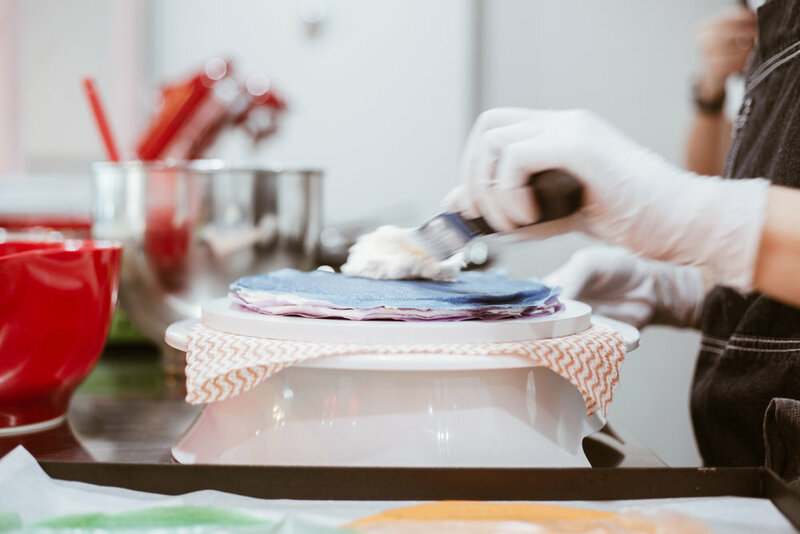 We were lucky enough to have exclusive access to watch the crepe master herself assemble this twenty-four layered crepe in five vivid colours of blue, orange, pink, yellow & purple. We learnt that JC stands for Jefferson and Cindy - a husband and wife duo. The creative duo create unique flavours and apply techniques learnt from France, Japan and Korea. Their extensive tea menu is hand selected by T2 with delicious coffee from The Grounds'. 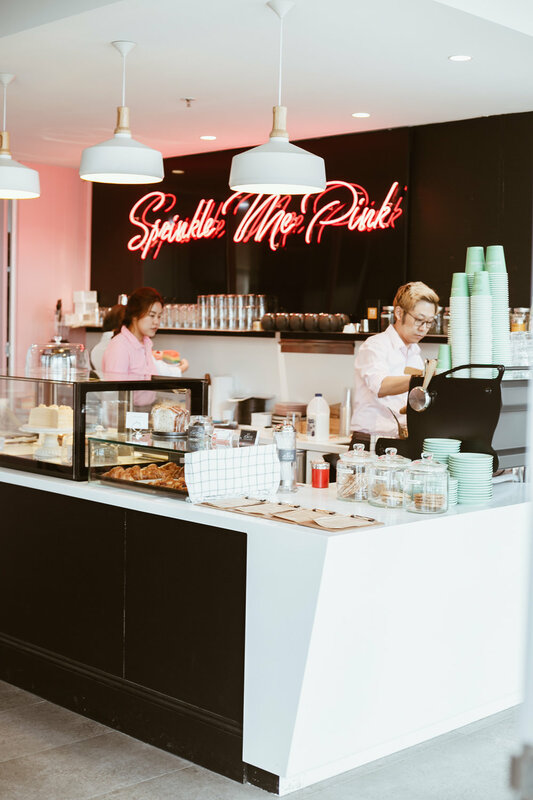 Hidden in a small alley in Stathfield surrounded by neon lights and pink walls this cafe is a must-try! Thank you for having us Jeff & Cindy! We loved capturing you in action. When you are offered a 3 course dessert tasting at Redfern's newest Japanese joint, saying no simply isn't an option. 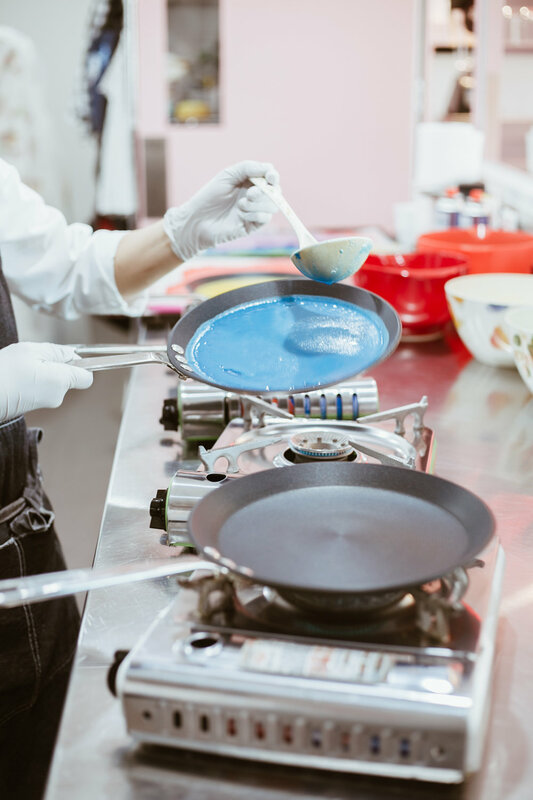 Especially when the chef is Koichi Katsumata; former chef de patisserie from the Michelin starred restaurant, Sola in Paris, Vue de Monde and Bennelong. Audi select the finest locations for a drive experience around Australia and worldwide. I learnt to sharpen my skills and experience the height of performance in Sydney. Check it out now! Dinner for Four at China Doll, Sydney.